Nailene will soon be introducing their at-home gel manicure system called SensatioNail. This product joins a couple of other systems that have recently been released for an at-home gel nail experience, namely Gelish and Red Carpet Manicure. I've been using the original Gelish system for over a year, and while I don't use it regularly because I like to change my nails almost every day, there are those rare instances when I simply don't have the time to devote to this, so I give myself a Gelish manicure. I knew I'd be in the midst of some work-related projects over the past week, and then be swamped with Thanksgiving Day preparations this week, so I used my Gelish over a week ago. I expect my nails to still look great through this weekend, when I'll hopefully have some "me" time to get back to my normal routine. It's a nice option to have, and especially nice for those consumers who enjoy doing their own nails and want their manicure to last for up to two weeks. This product will be available at the end of November, and you can find SensatioNail at Walmart and select CVS stores. I signed up here on the site for a free coupon (not sure what it is yet, but hopefully it'll show up!) to use toward my first purchase. You can read the complete press release after the photos. LAKE FOREST, Calif., Nov. 17, 2011 /PRNewswire/ -- Pacific World Corporation, the leading innovator and supplier of nail and beauty care products worldwide, announces the launch of SensatioNail™ Invincible Gel Polish under its acclaimed Nailene® brand. At the forefront of innovation, SensatioNail is a premium collection of at-home gel polish products that will provide users with up to two weeks of dazzling, damage-proof wear. With the resilient benefits of salon gel services—no chipping, no smudging, no breaking—in a do-it-yourself format, SensatioNail is a high performance, time saving and cost effective alternative. "The overall nail care category has seen significant growth over the past year. As consumer focus and purchasing behavior has shifted to at-home, DIY products, we are thrilled to bring such an innovative product line to the market place," says Marwan Zreik, SensatioNail Vice President of Marketing and Research & Development. "SensatioNail is the answer to multiple consumer and category demands, and never before has a gel product collection of this quality been available outside of the salon space," adds Zreik. SensatioNail will debut at the end of November at mass retailers with the launch of the SensatioNail Starter Kit, a powerful and compact system that is complete with all of the tools needed to achieve salon-quality results. The brand's patented polymer technology allows the polish to glide on smoothly, while the compact PRO 3060 LED Lamp harnesses LED light technology to flash harden SensatioNail gel polish to a radiant finish, with zero dry time. The brand will follow up the launch with a complete collection roll-out in January 2012, including the release of 12 fashion forward SensatioNail Invincible Gel Polish colors in both solid and shimmering finishes. The polish formula is free from Formaldehyde, Toluene and Dibutyl Pthalate. SensatioNail Creative Director, Clara Lee, says, "At SensatioNail we don't want the gel manicure experience to be limited to the salon. After conducting multi-city focus groups to truly understand the needs and wants of our target demographic—including frequent and non-polish users—we invested in quality and innovation to bring women an affordable luxury that is relevant not only to their beauty routines, but to their lifestyles." 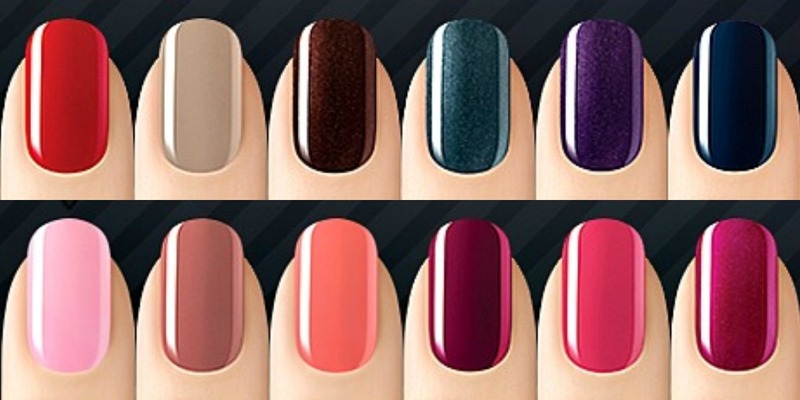 In addition, SensatioNail is committed to generating a strong digital presence. The brand's website, Facebook and Twitter pages went live on November 14th, and will be informational hubs to communicate with consumers across multi-media platforms. SensatioNail will provide an engaging experience for fans in an ongoing conversation about nail care tips, tricks and trends. This includes a library of instructional videos for various gel polish techniques that consumers can access through the web, or using a smart phone to scan QR codes located on all product packaging. SensatioNail is available at Walmart and select CVS locations nationwide, and suggested product prices will range from $12.00-$60.00. 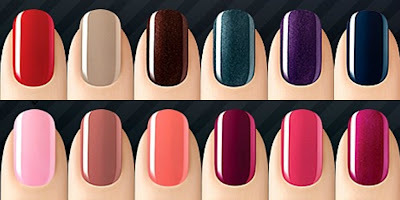 For more information visit the brand at Facebook.com/SensatioNail, or on Twitter @SensatioNail. *Photos from the SensatioNail web site. Mary is this harmful at all to your nails? I'm hoping it doesn't do the damage that acrylic nails do. It would be nice to try this product. Hopefully it's easy to do. I love the Sensationail gel. It truly does last without chipping and is super easy to do. It has not harmed my nails one bit. If you can paint your nails, you can do this. No need for me to go to the salon to get fantastic looking nails....I am hooked. Can you use the PRO 3060 LED lamp to dry your nails? I got the gel kit for Christmas, but I also got an acrylic set and some new nail polishes as well. Even though the lamp isn't specifically for anything other than gel nails, I was wondering if I could use it to dry different manicures like I would at a salon. Anonymous~I would contact Sensational on Twitter (https://twitter.com/#!/SensatioNail) or their Facebook page to confirm this. I have a UV lamp that I have used to speed along my drying process using regular nail polish. I assume that Sensationail furnishes a standard type of UV lamp and that it can be used for drying as well, but that is just my unprofessional opinion, so I would definitely check with them. Just tried it out. It was my first time doing gel nails at home. I picked up the red. I capped the free edge but it seemed to shrink during curing and my edges look slightly exposed. I bought a second bottle of color gel for 10 bucks, awesome price, but there was no brush inside! I just emailed Nailene to see what they say. Overall the nails look awesome. I am trying to find the Essential Kit. Does anyone know where I can purchase this from or could I order it online? Email me at jf.phil413@gmail.com. If you can help. hello, can you use the sensationail polish using UV lamp instead of LED lamp?? Hi, I just tried Sensational today, and my nails were kind of sticky for awhile after,and lint was sticking to them. What did I do wrong?I followed the directions exactly. After the last coat of gel you are suppose to use a lent free towel with a the gel cleanser so it won't be sticky, really the gel cleanser its just alcohol. Awesome product though.